Bernie Torme, former Ozzy Osbourne and Gillan guitarist, has passed away a day short of his 67th birthday following complications after catching pneumonia last month and being placed on life support. 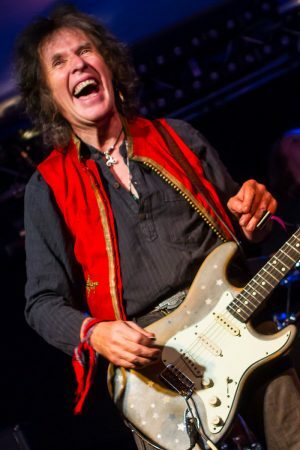 “Bernie Tormey 18.3.1952-17.3.2019” was how the news was broken this morning on his Facebook page and peers and fans have been left reeling. Torme is probably best known for stepping into the breach to play for Ozzy following the tragic death of Randy Rhodes. Osbourne has stated on numerous occasions that, were it not for Torme, he may never have stepped onstage again. Torme was also the lead guitarist in Gillan for four years before leaving in 1981. More recently he has released a quartet of brilliant, crowdfunded, albums: ‘Flowers & Dirt’, ‘Blackheart’, ‘Dublin Cowboy’, and last years ‘Shadowland’.